· 4th, 2001 Johnny Quick NRCHA Open. - RENENIC, U$ 9.951,92 NRHA / NRCHA. - SIX JAY DOC ZD, 186 pontos. R$ 52.393,00 SGP. Campeão VII Copa Victory Fly - 3ª Etapa Três Tambores - Aberta - Feminina. ­ SMART CHIC OLENA (Smart Little Lena) U$167.471,00. NRHA Hall of Fame. Bi Campeão Mundial AQHA­ Apartação e Redeas; Res Campeão Mundial NRHA. ­­ STARLIGHT ELAN (Gray Starlight) U$ 65.167,00. 4oL NCHA Derby Ab. ­­ CATELAN, U$ 54.080,00; Top10 Breeders Invitational Derby NP. 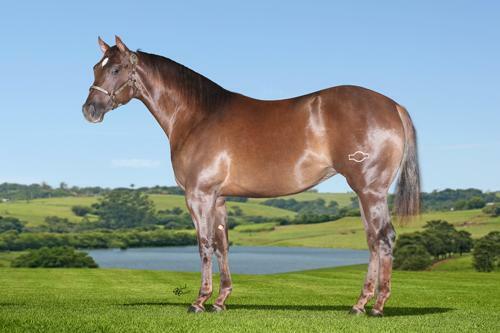 ­­ STYLIN ELAN, U$ 31.491,00; Campeã NRCHA Derby NP. ­­ NIC ELAN (Reminic) U$ 6.966,97 ­ NRHA E NRCHA / 11 pts AQHA. ­­ MISS ELANTRA (TR Dual Rey) U$ 652.64 NCHA. ­­ CAT RAFFLES, U$ 127.960,00. Top 10 NCHA Super Stakes Ab. Campeão Abilene Spectacular Classic NP; Res Campeão Memphis Classic NP, Abilene Western Classic NP. ­­ PRETTY CATLYN (Pretty Boy Cat) U$ 64.652,00. Campeão Music City Classic Ab Lim. ­­­ BRONZED FEATHER, U$ 132.419,00. ­­ CATS HEADLINER (High Brow Cat) U$ 72.716,00. ­­ ARIS WINDJAMMER (Smart Aristocrat) U$ 55,974,00. Finalista NCHA Super Stakes Ab; Res Campeão West Texas Classic Ab. ­­ PRETTY BOY CAT (High Brow Cat) U$ 47.509,00. ­­ LITTLE ARISTO (Smart Aristocrat) U$38.188,00.